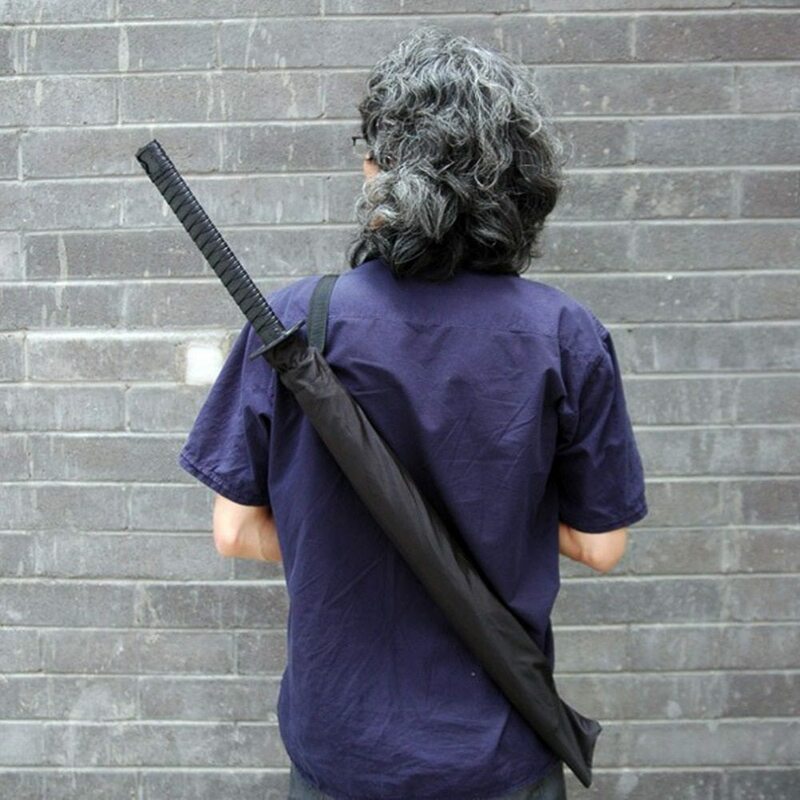 The Samurai Umbrella with a sword-like handle and shoulder-mounted scabbard will make you feel well armed to fight the good fight against the vast army of raindrops that attack you whenever you step outdoors. 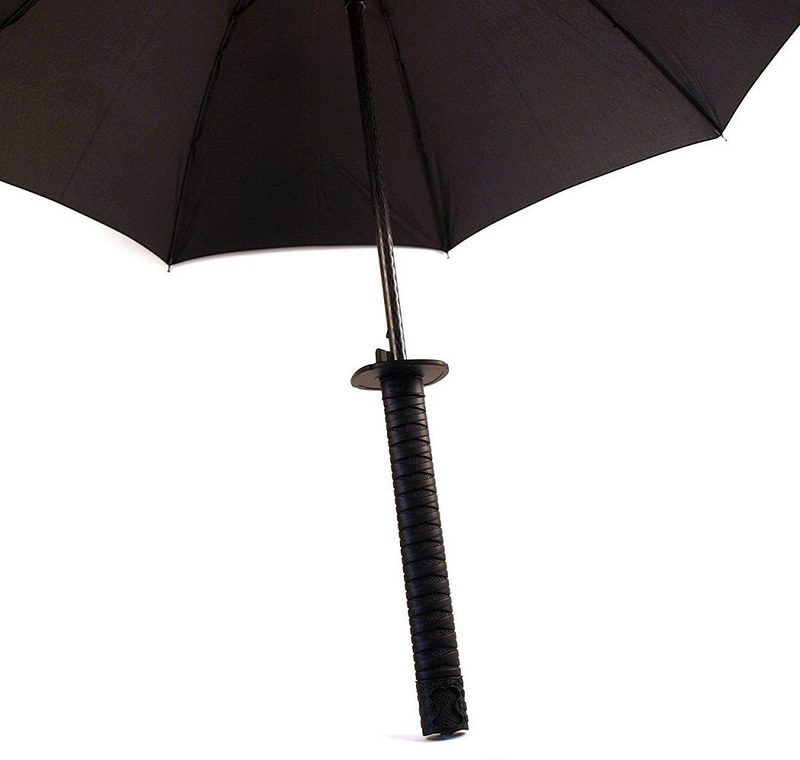 The water-resistant nylon and the push-button mechanism that deftly opens up the umbrella is based on ancient design wisdom passed down through the generations of rain-fighting samurai commuters. 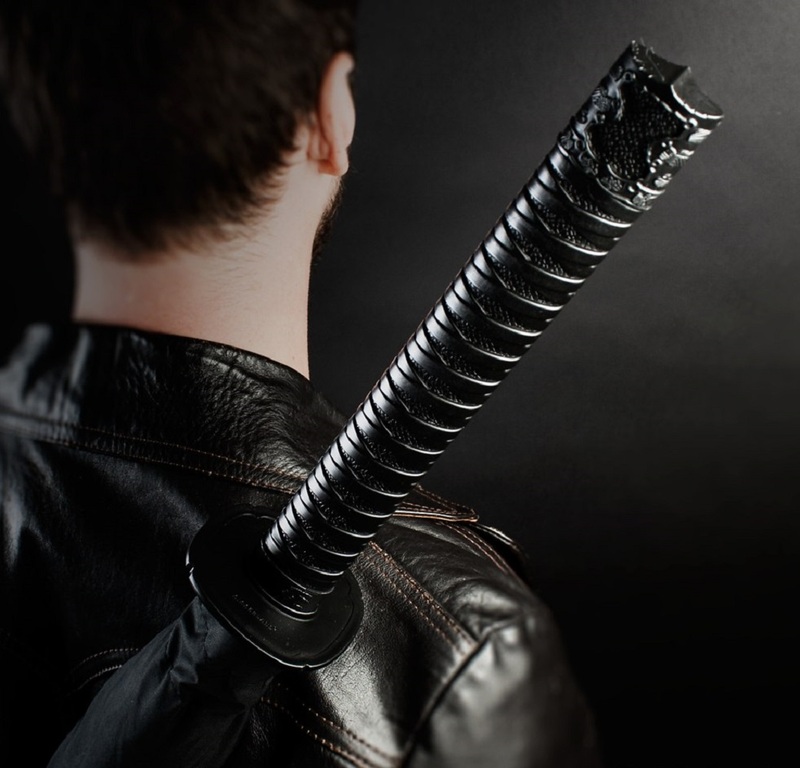 As Hollywood movies and the TMNT have taught us, the secret to being a deadly Japanese warrior is to look the part. When you have a brolly that you wear like a sword and swish like a sword, well…suffice it to say that you will feel like a samurai warrior too. 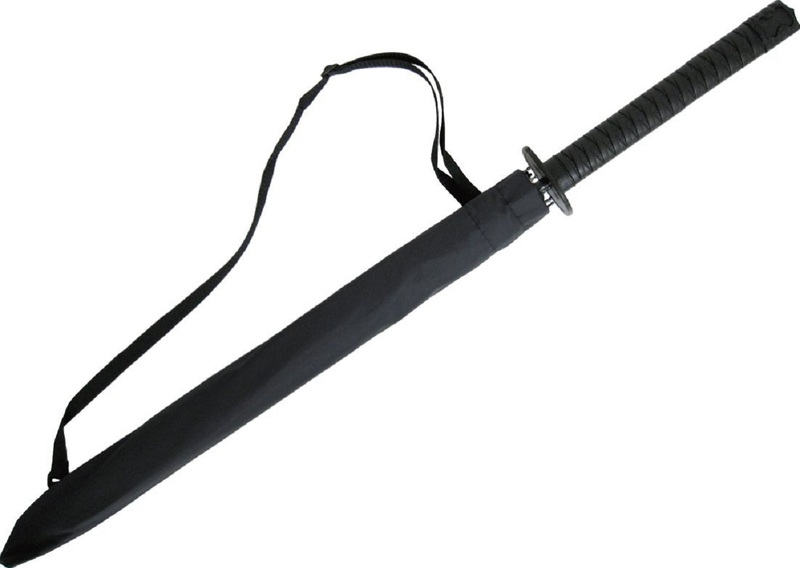 Of course, if you get stuck in traffic and are late for work, your boss may force you to commit hara-kiri using the same Samurai Umbrella.